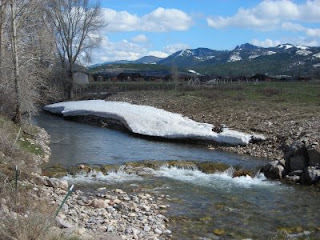 Historically, mud-season here in Driggs, Idaho is April. However, about four of the past five years this lovely season has slipped into May. My mom says the seasons are changing, and she's usually right. Guess we all need to embrace the insanity! 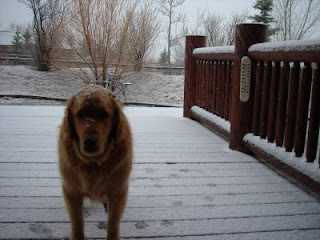 Even Bridger appeared disgusted Sunday evening, as huge flakes came down. Just as I was ready to head south again for purposes of sanity, we got a nice window of partial sun Monday afternoon. 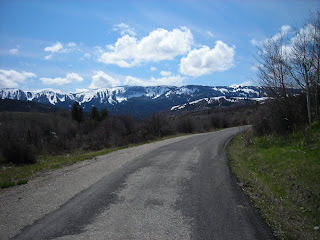 I took advantage and did a road ride around Teton Valley & Horseshoe Canyon. I feel better now, even as the drizzle continues. It was encouraging to see some runoff starting, at least at our lower elevations. Maybe the high country trails will dry out before August this year...we'll see.